This is a Knockoff Style cap Fluted Swept Passenger Side with a 7 inch back inside diameter. These spinner center caps add even more style to the classic knockoff style with swept and fluted bars. 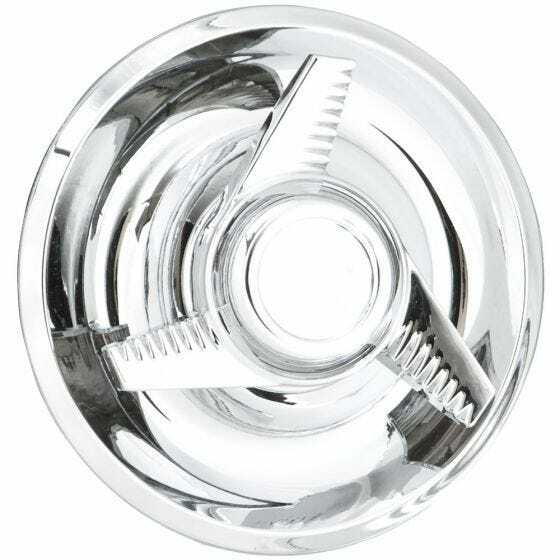 This spinner hub cap is directional and is for the passenger side wheels. Fits our Corvette/Camaro Rallye wheel, all sizes and our 17"-18" Smoothie wheels. Passenger side pictured, driver side sweeps to left. Please check your actual wheels required cap fitment size.